Drains Repairs, Unblocked and Surveyed Fast! Blocked drains are a thing we think little about, until they occur – and then they become ALL we think about They’re filthy. They’re smelly. Let’s face it, they’re a total headache, and something we can well do without. Want us to help you? Blocked drains in Sleaford are just something you will stumble upon in due course, and that’s where we at Inline Drainage Solutions Ltd will be ready to help! 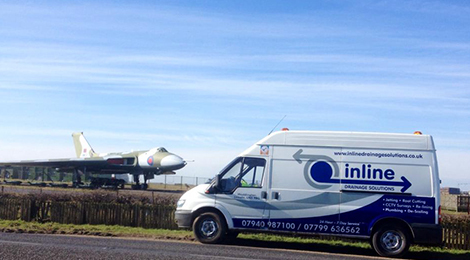 In addition to Sleaford, we also cover the surrounding areas. Amongst the pages in this web-site, you’ll find countless Frequently Asked Questions as well as a number of Hints & Tips to assist in the maintenance of your home’s drainage system – and should you need that extra helping hand, we’re only a call or an e-mail away! 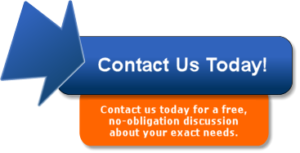 Learn more about us here or contact us today. There are many problems that can affect the flow of a drain or cause damage to drains or drainage systems. These faults can include breaks, fractures, displaced pipe-work or pipe joints, root infiltration through pipe joints and even water ingress through pipe joints or fractures. Whatever the cause, any problem would require mindful diagnosis ahead of implementing the correct repair method. While there are many different ways now to repair a drain without excavation or with nominal excavation and disruption, in many instances damages to the drain needs to be assessed first with a camera and then the repair method carefully considered. Whether it’s blocked drains in Sleaford, blocked dish-washer, washing machine, waste disposal unit, shower or bath – very much like external or underground drainage pipes, examining the trouble before carrying out the required remedial work is really important. Where feasible, it’s always judicious to determine the location of the problem before attempting to resolve it. Seek information! Without a thorough understanding of the job in hand, any attempt at a fix, could just make things worse and incur additional expenses. We may marvel at the appearances and craftsmanship of our new kitchen or bathroom, but make no bones about it, what goes on behind the scenes in relation to pipework is equally as important. If not moreso! The last thing we want, is to demolish units or rip up our new flooring attempting to repair blocked, disconnected or dropped waste pipes. 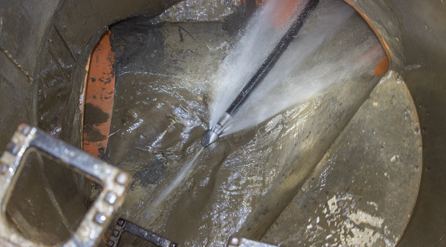 High pressure drain water jetting is amongst the quickest and most efficient ways to remove deposits and debris which might be creating blockage. High pressure jetting not only delivers extensive drainage cleaning, but breaks up any potential blockages, and allows it to be flushed away leaving your drain pipes free-flowing once more. Our dedicated team have been providing drain jetting services for blocked drains in Sleaford for 23 years and are fully qualified to ensure the best results. They will always aim to have your drain returned to full working order promptly, so you don’t need to address the unpleasant effects of a blocked drain. Discovering a problem with your drainage system above or below ground, whether blocked or broken, is usually troublesome and worrying and in general will always come about at the worst moment. The hardest part is understanding what’s caused the issue in the first place! But that’s where our specialist team come in. CCTV drain surveys are the ideal way to ascertain the cause and scope of a drainage problem quickly and visually or simply be provided with the confidence that the drainage system is in excellent shape. Our high-tech cameras will find structural issues, part or total collapses, root ingress, pipe scale, erroneous installation, obstructions, displaced pipe joints, shared usage, blocked drains and much more, including leaks and emanating foul vapours. Whether for a new build or to replace existing networks, drain installation is a complicated procedure which needs to be handled by knowledgeable professionals. The team at Inline Drainage Solutions Ltd are the leading providers of new drain connections across Lincolnshire, supplying services to all residential and commercial customers. Following a full drain mapping service to identify the existing layout, our experts can then complete drain installations which will link seamlessly with the pre-existing network, giving you a reliable and productive process that conforms to all important regulations. If your drainage system is weakened, damaged or leaking, Inline Drainage Solutions Ltd can provide a full drain relining and drain patching service that will recover the flow and integrity of your drainpipes. This will save you money and significantly lower disruption when compared to ground excavation and pipe replacement. Drain relining can be used to rectify all manner of problems and is a simple yet effective repair for open or leaking joints, root intrusion/ingress stress damage/circumferential/radial cracks or damage caused by obstructions. A re-lined drain achieves a permanent structural repair that is fully guaranteed to restore the flow of your drainage system. All structural pipe relining is guaranteed for Ten years.